00Good stories, way back to the classics, always have three parts: a beginning, a middle and an end. These are the three pillars of any story. And, from the fairy tales we hear as children, our lives are full of them. In this regard, the Sagrada Família also has a story to tell. It began in 1882 and should finish in 2026. Within this great story, however, there are other smaller ones: the goals and milestones we achieve every day. Some of them are the beginning of a new part of the Temple, and others, the end. Most, however, are stories of ongoing work. Coincidentally, at the Sagrada Família the story of this 2018 that is about to end has been full of beginnings, endings and work that does not cease. Let’s look back at them! 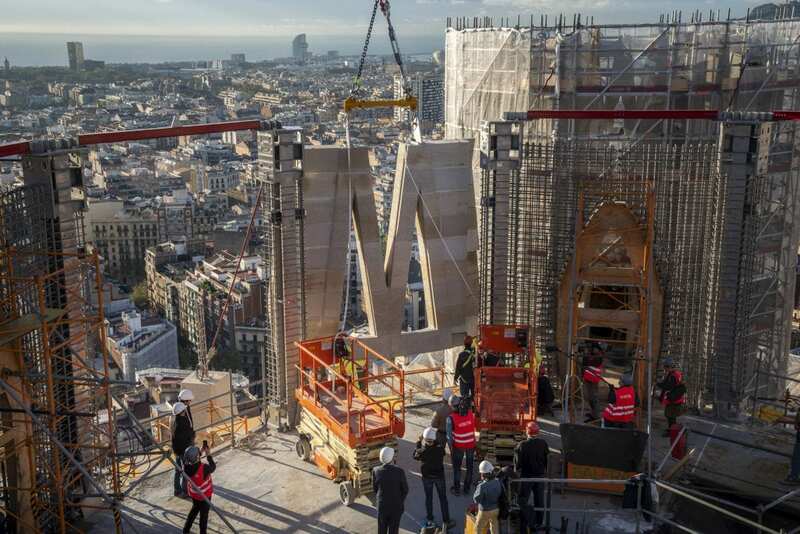 One of the dates that will go down in the history of the Sagrada Família is 16 October 2018, when the central lantern began to grow with the first stone panels put in place. Like on the rest of the central towers, these panels are made of tensioned stone. However, they are a bit different because, for the first time, some of them had to be split in two parts because they were too big and too heavy (weighing four times more than an elephant). So, the tower of Jesus Christ now stands at 90.86 metres, having started at 85 metres. At the same time, work is under way inside the tower, which will have a stone core with a spiral staircase and glass lift. The prototype for this core was also created this year. 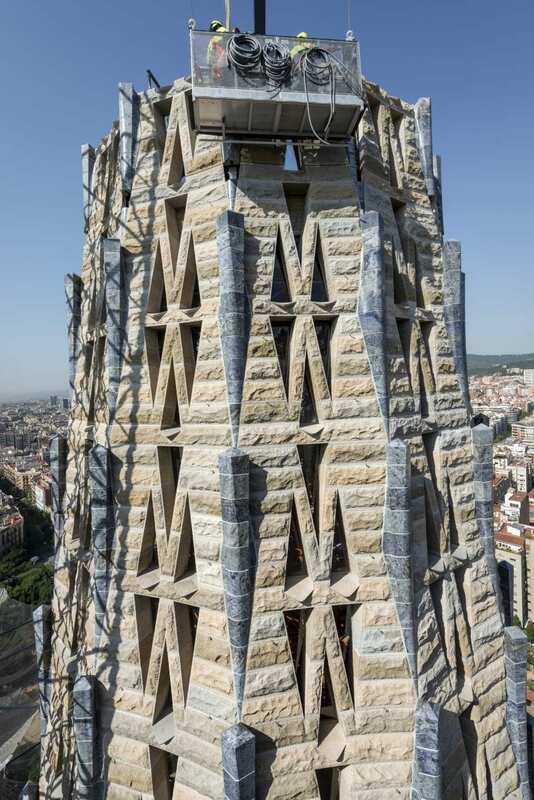 Work pushed on non-stop throughout 2018 on the tall central towers: the tower of the Virgin Mary and the towers of the Evangelists. The former, in fact, started at 87.5 metres, with the eighth level of panels, and has finished above the symbolic benchmark of 100 metres: with the fourteenth level put in place in November, it now stands at 102.31 metres. For their part, the towers of the Evangelists began the year at different heights (the tower of John stood at 80.83 metres because it only had one level in place, while the tower of Matthew had two, at 83.87 metres, and the towers of Mark and Luke had three, at 86.82 metres). They are all finishing out 2018, however, with the fifth level in place, taking them to 92.80 metres. Plus, this year, we’ve put in all four of the bridges on these towers, which in the future will take visitors into the tower of Jesus Christ. The other big news of 2018, apart from the tower of Jesus Christ, came from the Passion façade, but for a totally different reason: this year it was officially completed. 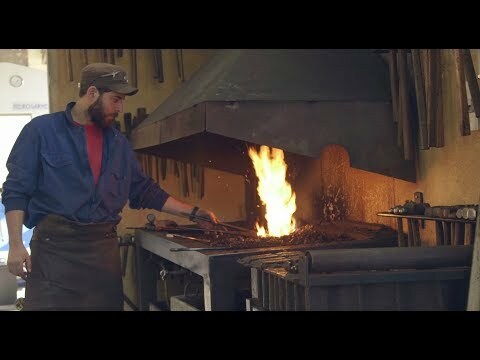 The final touches were the sculpture group of the Empty Tomb, by Francesc Fajula, and the Cross of Glory, with the three angels, by Lau Feliu. 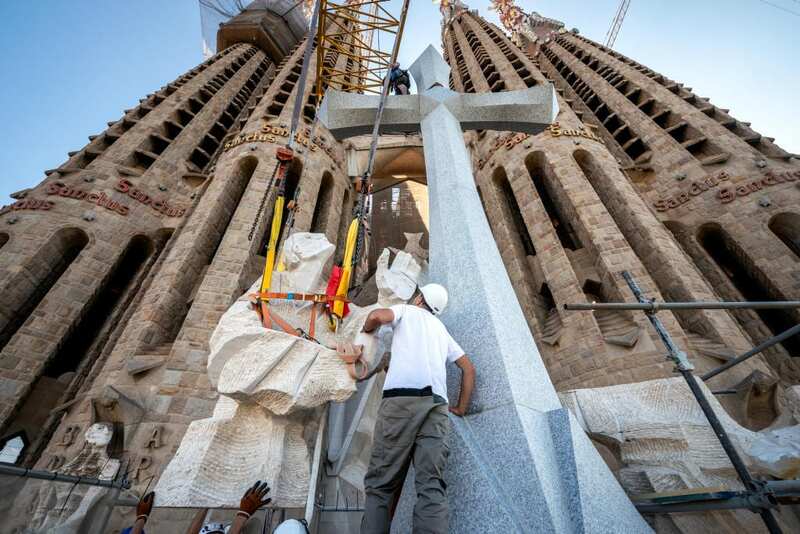 The first sculptures began to go in on the façade in April, while the Cross scene was put in place in July. Both groups have allowed the façade of death to welcome life. This put an end to the façade that Gaudí designed while seriously ill, even though work only began in 1953, nearly three decades after his death. 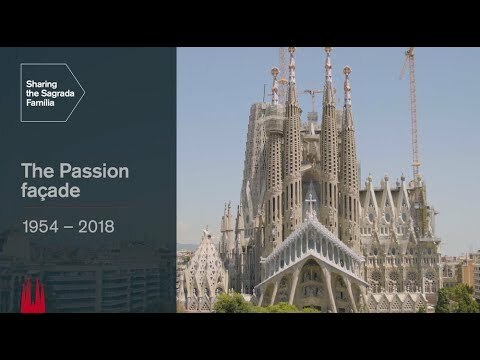 This year the Passion façade was the centre of attention for two reasons: not only did we finally get to see it completed, it was also in full glory thanks to the restoration of the pinnacles on the four bell towers, which were completed in 1977. The work began in 2014 and, this year, focused on the tower of James the Less, on the Carrer de Provença side. In November, after the scaffolding and support structures were removed, the results were finally visible and the trencadís mosaic on the pinnacles of the four towers on this façade, Gaudí’s trademark, shines once again. The following video shows how the work at height was done on the pinnacles. Click on the picture and move around to get a first-hand experience of being up in this part of the Sagrada Família. 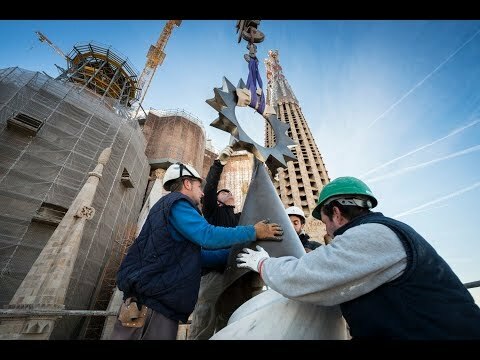 The history of the Sagrada Família was made not only on the work site this year. 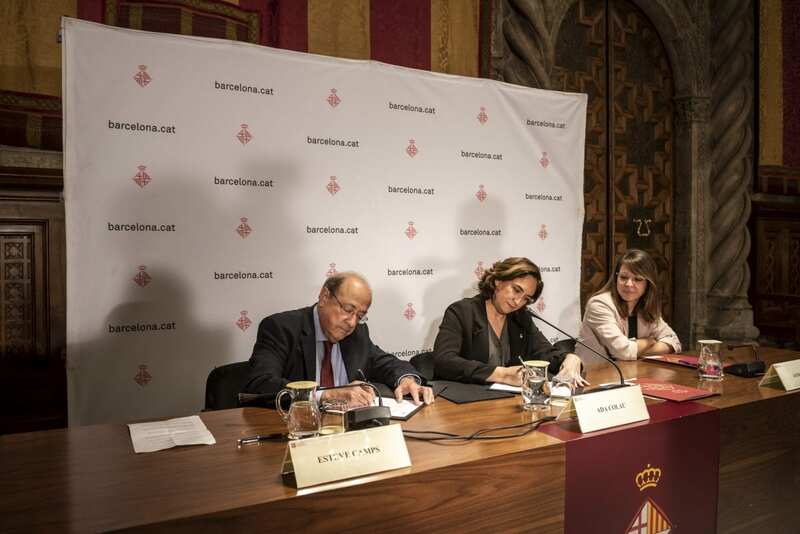 A historical agreement was reached with the Barcelona City Council, putting an end to a situation that dates back to 1885. That was when the Junta Constructora applied for a building permit from the Town Council in Sant Martí de Provençals, now a district of Barcelona but, at that time, the town in which the land the Temple would be built on was located. However, the council did not respond. Now, finally, after two years of discussions, we have reached an agreement with the City Council to normalise construction of the Temple. The agreement was signed in October and, two weeks later, a special plan to normalise the works was submitted to the council, which leaves the narthex on the Glory façade for a second phase. 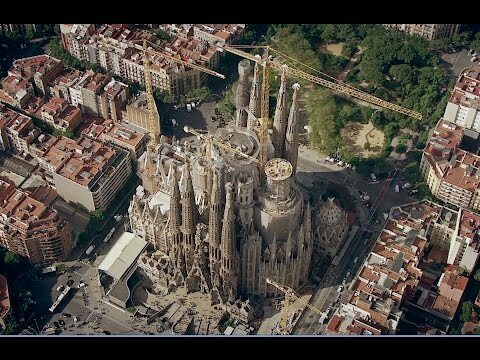 The agreement also lays out that, over the coming 10 years, the Sagrada Família will contribute financially to a series of improvements affecting mobility, urban planning and the environment in the area around the Temple. Among others, this will help fund the city’s public transport deficit, redeveloping the streets around the Basilica and covering the costs of cleaning, security and civic agents required to keep the area around the Temple under control.